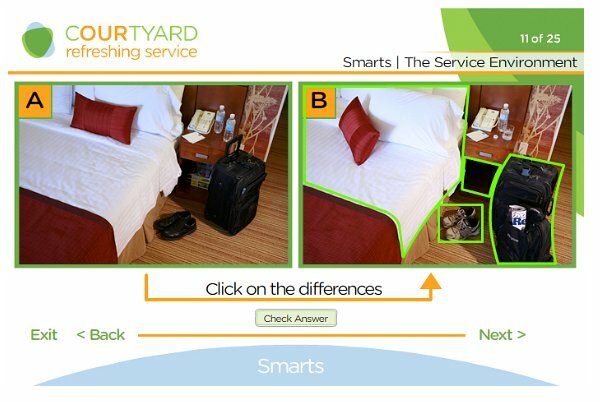 Marriott Courtyard - MetaMedia Training International, Inc. 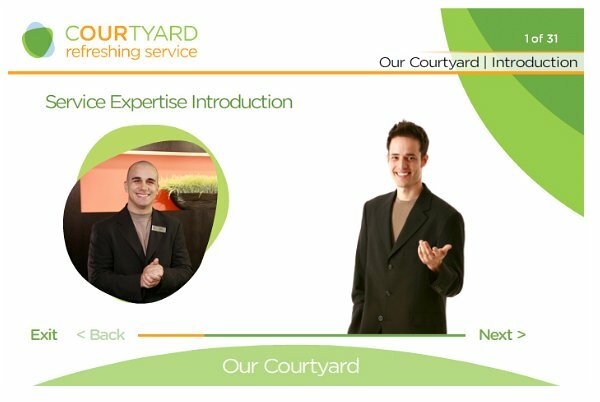 Description: MetaMedia developed this online training program for Marriott’s Courtyard brand. 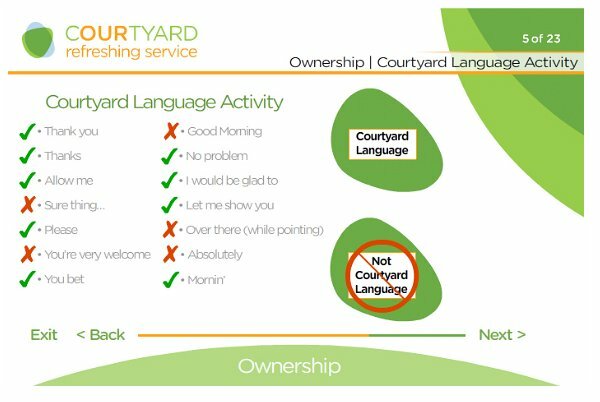 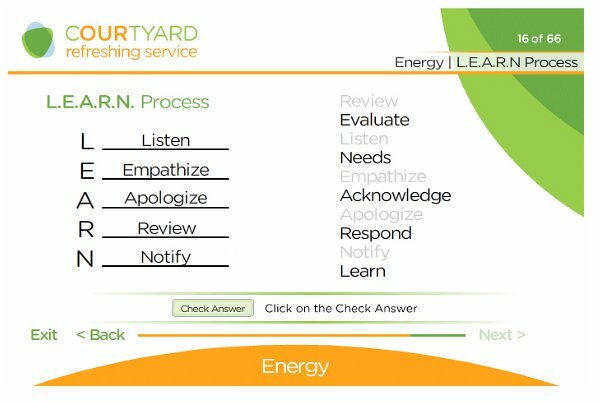 It provides training for front-line personnel on how to deliver top quality “refreshing” customer service to Courtyard’s business and leisure travelers. 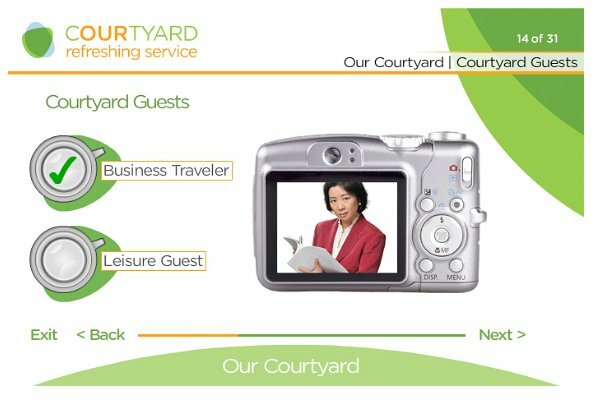 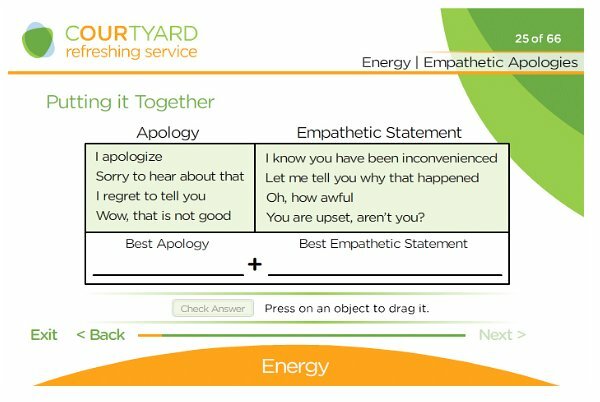 To accommodate guest’s needs, MetaMedia designed highly interactive and custom developed interactions and videos to model correct customer service behaviors.